Jacquard is proud to offer high-quality graphic squeegees for screen printing on papers, fabrics and other surfaces. Available in 2 sizes, our 80 durometer, polyurethane squeegees feature contoured aluminum handles for comfortable grip and consistent printing. Polyurethane blades are the firmest and most durable, and are impervious to acids, turpentine, thinners, and other chemistries, making them ideal for all types of ink, as well as for dye and chemical systems. 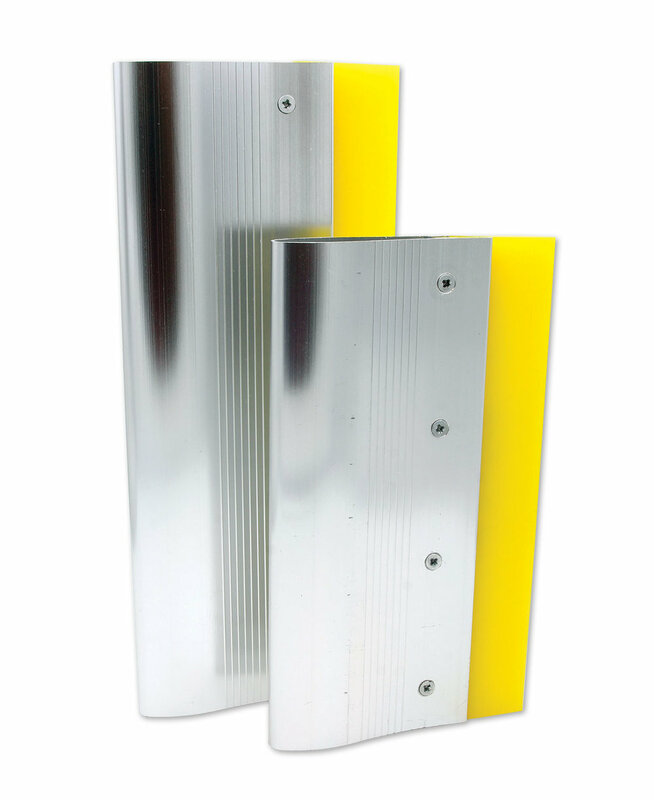 Urethane blades are suited for high usage applications with any type of screen and are built to last.